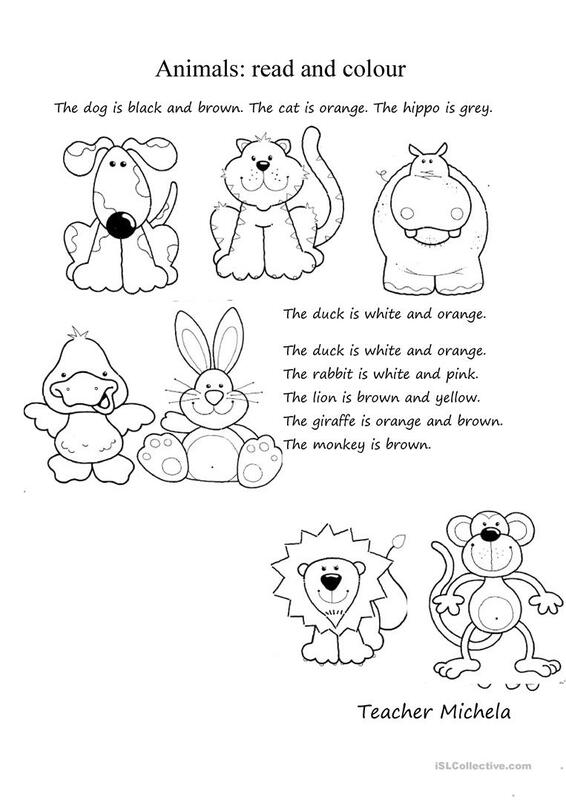 Students read and colour the animals. You can use it in different way: Beginners: cut, paste and copy the sentences- level 1: cut, paste and listen to the teacher to write the sentences, then colour the animals. I created this worksheet by odt and then I had to coverted it in doc: sorry if the formatting isn't nice....anyway I hope it can be useful! The above downloadable worksheet is meant for elementary school students, kindergartners and nursery school students and students with special educational needs, learning difficulties, e.g. dyslexia at Beginner (pre-A1) and Elementary (A1) level. It was designed for developing your students' Listening, Reading and Writing skills. It is about the vocabulary topic of Animals.